Our Yoga Crunch is clusters of cranberries, blueberries, sunflower seeds, and peanuts on either white, milk, or dark chocolate. The mix of the the fruits and nuts is an addictive combination. 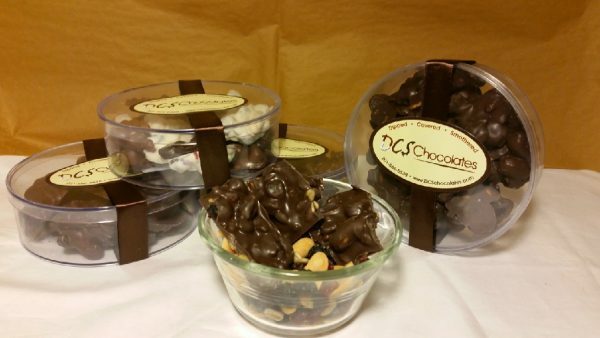 My husband and I bought an assortment of DCS chocolate at the Sharon Springs Harvest Festival, and it was the most amazing chocolate I have ever tasted. My favorite is the Yoga Crunch. My husband loves the chocolate dipped pretzels. And now we are coming back for more!